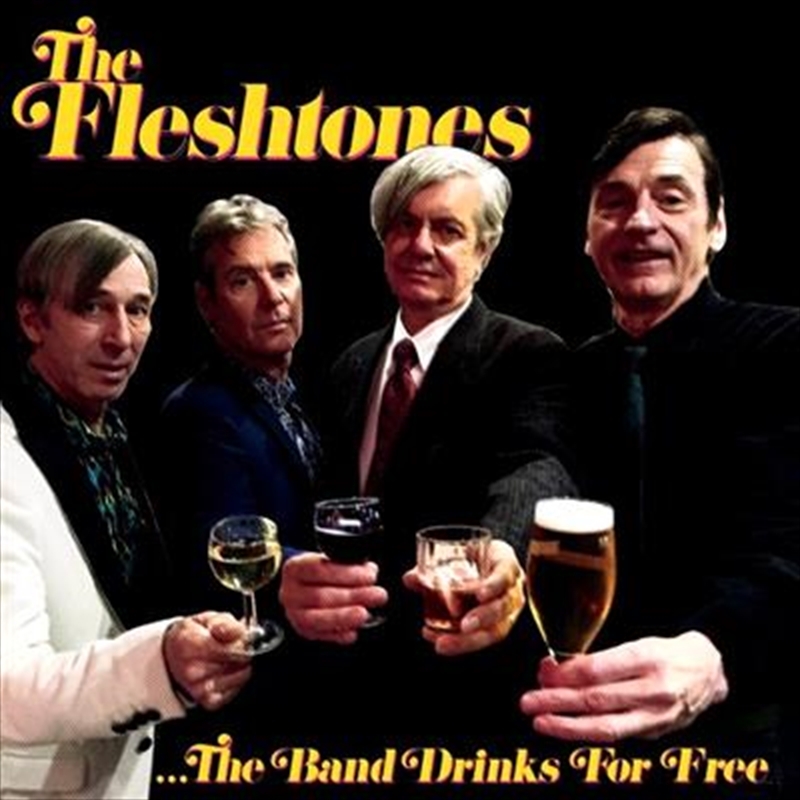 45rpm 7" Vinyl -'The Band Drinks For Free' is the A-Side of this 45 as well as the title of The Fleshtones forthcoming full length album, due out later this year. The band will be celebrating their 40th anniversary of rocking harder than anyone in the world in 2016! The first thing that popped into frontman Peter Zaremba’s head when thinking back on these past 40 years was, 'The Band Drinks For Free'. Simple. The song itself taps into one of their big inspirations, the Kinks, ­or more like The Troggs sounding like The Kinks. 'Love My Lover' is straight up Fleshtones Keith Streng-­style at its rocking best. No frills. Although Streng did want some subtle touches like a duel guitar and ­harmonica lead, and some interesting twists to the lyrics: there aren't many song­writers who long for a 'transporter' to get immediate access to their lover's room, or refer to their own 'blue eyes' in a song, is there? Bill Milhizer and Ken Fox add their solid, irresistible beat.